Make new memories, embark on inspiring adventures and venture where the locals go — it's all possible in Uthai Thani. But first, let us provide you with a few basic facts about your next travel destination! To help you find your feet, Uthai Thani is located 120 miles (193 kilometers) north of the prominent city of Bangkok. The population of this area of Uthai Thani is approximately 22,000. Ridiculous prices are right at your fingertips when you organize your flight and accommodation deal via Travelocity. Also, you can choose from more than 400 airlines and 665,000 properties. From accommodations and flights to activities and rental cars, we can provide 24/7 personal assistance via our Customer 1st Guarantee. Have you come across a better deal elsewhere? We'll match the price and give you back the difference^. With no hidden fees or charges from us, you don't need to stress about changing your vacation plans. 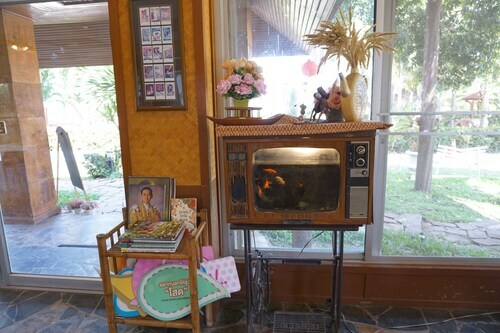 And as long as you get in quick, most accommodations won't charge you either^. 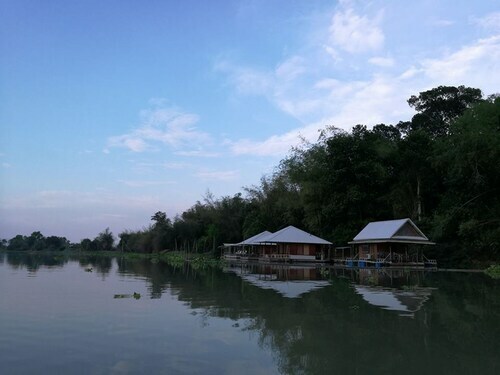 The Iyara Lake Hotel & Resort is the only property within close reach of Uthai Thani, so we suggest locking in your room well before your trip. Where do you fly into for Uthai Thani? Coming in to land at Don Mueang International Airport (DMK)? After you've disembarked and collected your luggage, downtown Uthai Thani will be just 110 miles (177 kilometers) to the north away. Can I rent a car in Uthai Thani? Reserve a rental vehicle via Travelocity for your time in Uthai Thani. You're sure to discover some amazing sights while you're cruising down the highway. Temples have long attracted pilgrims seeking spiritual enlightenment in a physical world. Organize a visit to the holy site of Wat Uposatharam and have your own sacred experience. Seeking more ideas? Would you love to look at the world from up high but too nervous to try hang gliding or parachuting? Then why not hike up Khao Sakae Krang instead? You'll experience splendid views while keeping your feet safely on the ground! 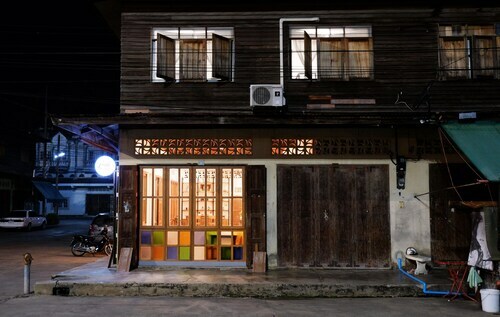 If you've seen the best of Uthai Thani and have more time up your sleeve, don't fret! Just 20 miles (32 kilometers) away is Nakhon Sawan, and there's no lack of activities on offer here. If you want to spend a whole day in this area, go to Sawan Park first. Next make your way to the Jiraprawat Golf Course and the Wat Khiriwong. If this doesn't appeal, try Lop Buri. Just 60 miles (97 kilometers) away, this destination features other notable attractions such as the Temple of Great Jewel Relic, the King Narai National Museum and the Wat Sao Thong Thong. Spend the day here to get to all of them! 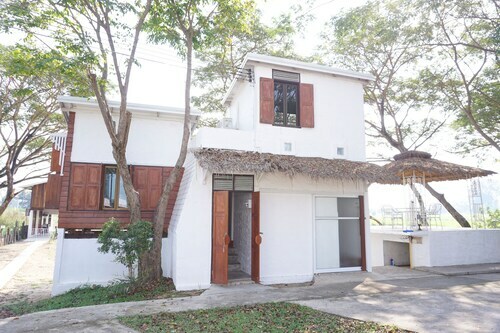 Situated in Uthai Thani, this hotel is within 2 mi (3 km) of Khao Sakae Krang, Wat Uposatharam, and Uthai Thani Stadium. Wat Tha Sung is 6 mi (9.7 km) away. 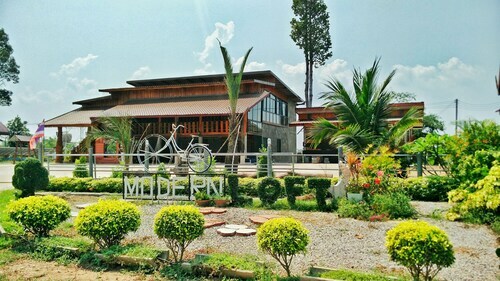 Situated in Uthai Thani, this hotel is 2.9 mi (4.7 km) from Wat Uposatharam and within 6 mi (10 km) of Khao Sakae Krang and Uthai Thani Stadium. Wat Tha Sung is 5.7 mi (9.2 km) away. Situated in Uthai Thani, this hotel is 3 mi (4.8 km) from Wat Uposatharam and within 6 mi (10 km) of Khao Sakae Krang and Uthai Thani Stadium. Wat Tha Sung is 5.8 mi (9.3 km) away. 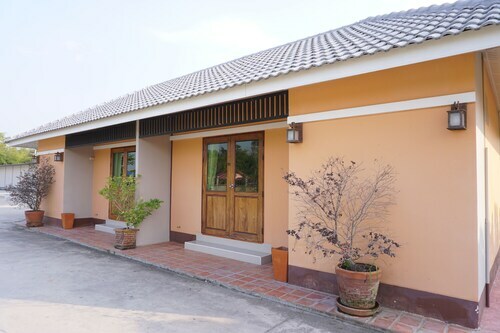 Situated in Uthai Thani, this guesthouse is within 1 mi (2 km) of Khao Sakae Krang and Wat Uposatharam. Uthai Thani Stadium is 1.4 mi (2.3 km) away. 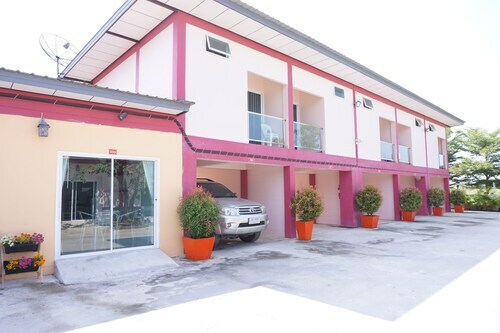 Situated in Uthai Thani, this hotel is within 3 mi (5 km) of Wat Uposatharam, Wat Tha Sung, and Khao Sakae Krang. Uthai Thani Stadium is 4.1 mi (6.5 km) away. Situated in Uthai Thani, this hotel is within 6 mi (10 km) of Khao Sakae Krang, Uthai Thani Stadium, and Wat Tha Sung. Wat Uposatharam is 5.5 mi (8.8 km) away. Situated in Uthai Thani, this hotel is within 9 mi (15 km) of Wat Uposatharam, Khao Sakae Krang, and Uthai Thani Stadium. Wat Tha Sung is 8.3 mi (13.3 km) away. Situated in Uthai Thani, this hotel is 2.7 mi (4.4 km) from Wat Uposatharam and within 6 mi (10 km) of Khao Sakae Krang and Uthai Thani Stadium. Wat Tha Sung is 5.5 mi (8.9 km) away.